My Cousin Bharat and Manjusha are blessed with a baby boy on 17th October. 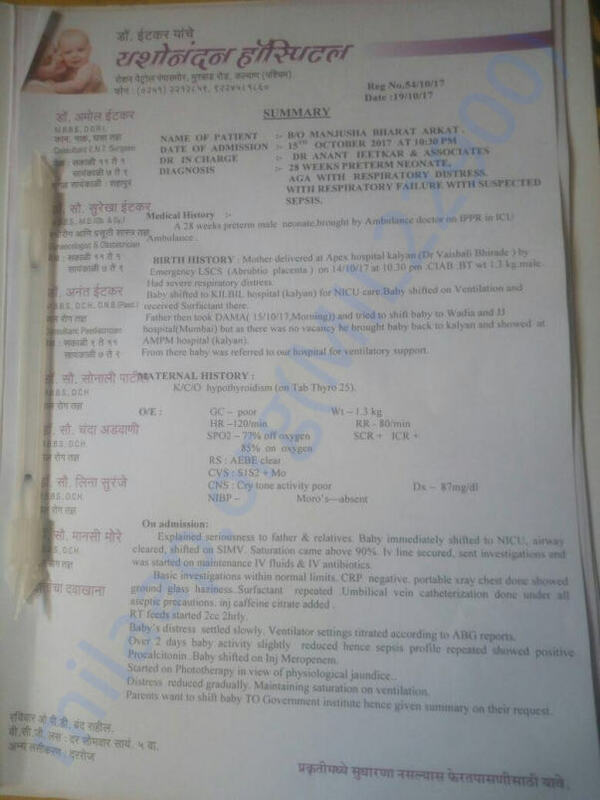 The baby is born pre-mature (7 months, Weight-1.3 KG) and is currently on ventilator support. 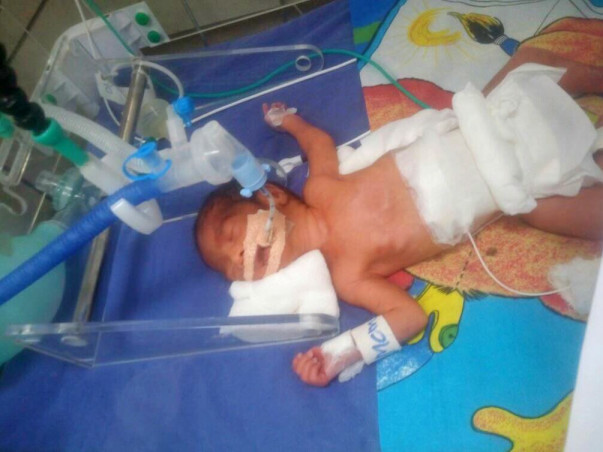 The doctors advised the baby to be on ventilator support for at least 30 days. The cost of ventilator support itself is around 7 - 10 thousand per day. There are other medical expenses for the baby and the mother (Mother is also in hospital now due to delivery complications). Bharat works for a private company in Mumbai and his monthly income is Rs 15,000. He is the sole bread winner of the family (family of 5 including his aged parents and a 4 year old). 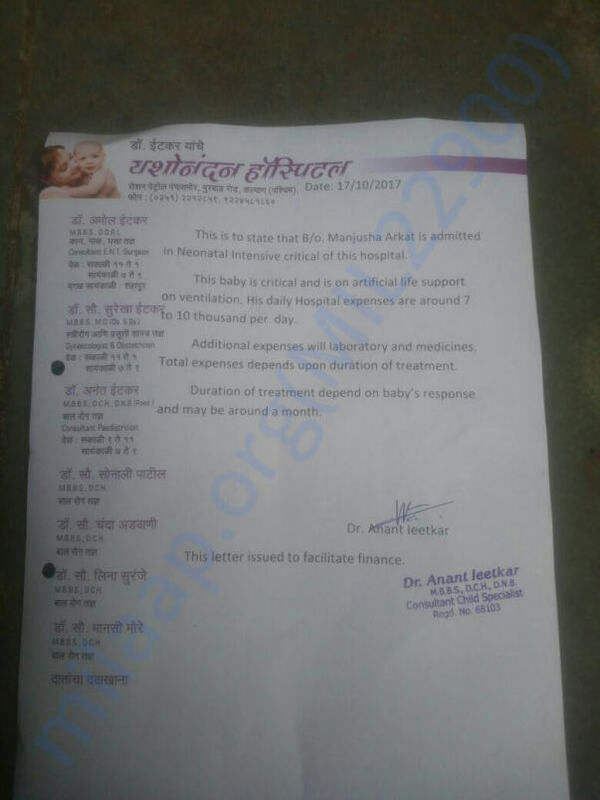 As he spent all his savings and available loans on medical expenses till date, we are requesting kind hearted individuals to help the family to save their little one. Your donations can save a baby, Thank you. I have some good news to share. Bharat's baby boy is feeling much better now. He is out of ventilator support and is responding well to the treatment. But, he has to stay in the hospital for few more weeks before he can head home. Thank you so much for your generous support and keep sharing this campaign with your friends and family. Have a blessed day!!!! Thank you all for your generous donations. 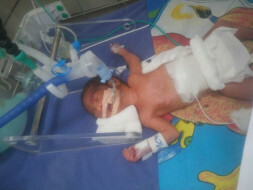 The babies condition is getting better, but he has to be on ventilator support for 3 more weeks at least. As the family is in urgent need of funds, the withdrawn amount will be used for the medical expenses. Thank you again and please keep share this campaign with your friends and family. We will keep you posted on the progress.